Experts in finance know that there are more creative uses for a personal loan than most people realize. Besides offering a lower interest rate, personal loans provide unique benefits that credit cards can’t match. In our consumer-focused culture, there is nothing people won't buy on credit. People automatically put big purchases on credit cards without giving it a second thought. Yet, while on-time payments help build your credit score, in the long run, this is not a good idea because you will pay too much in interest and fees. 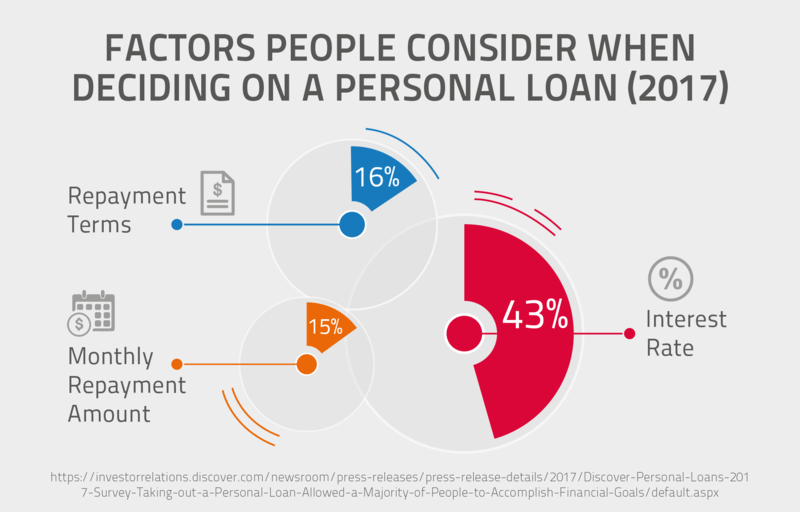 Personal loans are an often overlooked option for financing a whole slew of unexpected things, and few consumers know their advantages, such as lower interest rates than credit cards. I had to quickly become more scrappy and savvy with my finances. Making a bad decision with a large amount of money is a problem that compounds over time and doesn't fade away on its own. First rule: Know the significance of compounding interest. Interest can ruin your financial livelihood if you are not aware of the impact before you exercise using the credit. I once made a significant purchase on a credit card for my business. My usual monthly bill pay task was interrupted when my family experienced a significant death. The late payment cost me 26% in interest, and on a $5000 purchase, that interest ended up being $1300. That literally made me sick! For example, you may fall behind on credit card payments and start accruing penalties on the debt. The cash you funnel into monthly payments becomes unavailable for smarter, wealth-building investments. These bad financial decisions can snowball out of control quickly. A $5,000 credit card purchase doesn't seem so big, but at 22% APR, compounding monthly, it adds up. 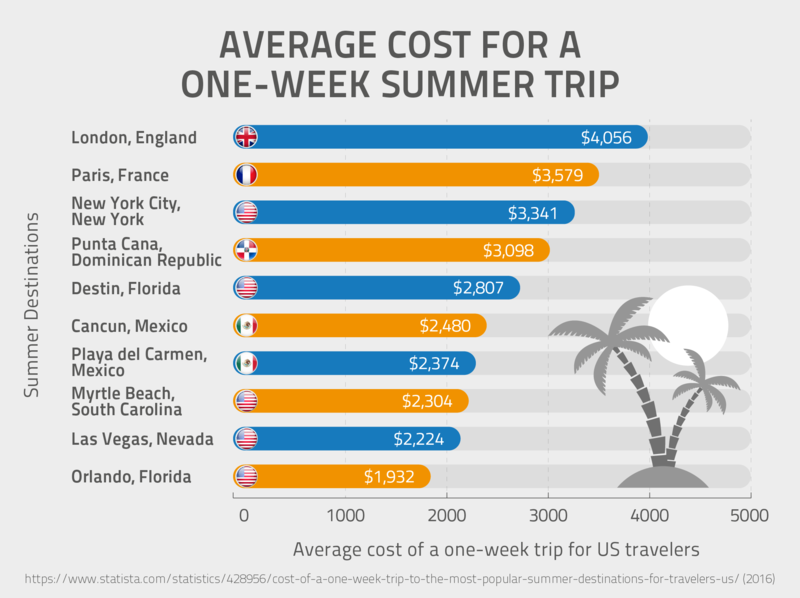 Ten years down the line, that $5,000 vacation cost you $44,235! And $5,000 is on the low end of what we put on our cards. For those that carry a balance each month, the average amount of credit card debt is more than $16,000. At this amount, with interest, a one-time purchase will haunt you for decades. A good example: Seriously consider the financial costs of your educational dreams. When my wife and I were still dating, she was weighing her educational options and career aspirations. At the time, my business was in its infancy, and we both worked full-time while she also attended undergrad courses full-time. The plan was for both of us to have six-figure careers, and she wanted to pursue a law degree following her bachelor's. I encouraged her to do this, knowing we would both be closer to our aspirations as a couple, but neither of us knew the implications of student loans for law school—especially the difference between attending a public versus a private institution. In the end, her educational costs topped $200,000, with an average interest rate of 4.25% for each of the EIGHT student loans she now carried. What it came down to in terms of income, meant she would have to make at least $75,000 annually starting out, just to meet her student loan payments and have little left for living expenses. Was this worth the cost after all the time, stress, financial imposition, etc.? For us, it worked out because her degree has become a vital asset to both my business and our daily lives. But if your aspirations do not meet your financial abilities, there has to be a serious moment of inner reflection. Do you want to be handcuffed to a student loan payment to make enough money to pay the loan back and clear only a little more than $1000 per month? Or, do you want to pursue a degree where your earning and income potential are not vital to repaying your loans? I never doubted her abilities, nor did she. But was this a reasonable path given what we wanted as a couple for our family down the road? In the end, her loans are paid off now… but not without a lot of serious time, effort, and struggle along the way. 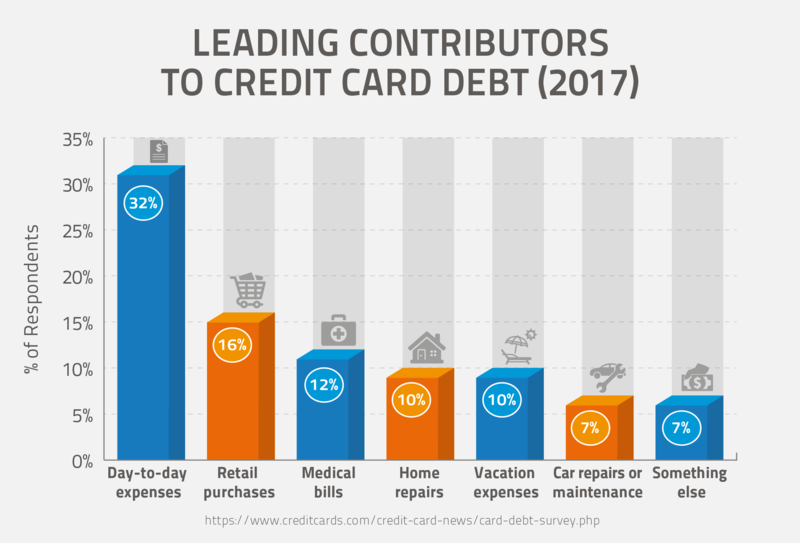 Simply put, a 2016 TSYS consumer services study shows that a full 40% of Americans will use credit cards to finance a major purchase. If you know how to use personal loans in both expected and unexpected ways, like I'll show you here, you'll see that putting everything on your card isn't necessary or productive even. Personal loans are a great alternative to credit card debt. For those with a good credit score (700 or more), lenders offer interest rates around 10% for personal loans. Compare that to the 15-20% you'd pay on interest using a credit card. Better yet, there are personal loan calculators that can show you how much your monthly payments would be for a personal loan—using various amounts at different interest rates—that you can't easily "see" using a credit card. Plus, you can also borrow anywhere from $1,000-$100,000 on a personal loan, and you have the privacy of spending it on whatever you choose which is something a credit card can not match. Using a personal loan helps you manage a big purchase much easier. In many cases, you can receive an approval and get the money from a lender for a personal loan in one business day. Even if you are in the credit card habit, it's never too late to try a different route, and use smarter financing, provided you have a plan to pay off the money you borrow. Many people may know that you can use a personal loan to consolidate debt or start up a new business. But there are many more unexpected uses for personal loans. From liposuction to sculpted noses, elective surgery procedures usually cost $3,000 or more, often above the typical credit card limit. For this type of purchase, "A personal loan is a better option," said David Weliver of blog MoneyUnder30.com. Some surgeons offer financing, but not all do because they end up discounting their own fees in order to work with a secondary finance company. And their rates can be sky-high for those with bad credit, up to 22% in some cases. A personal loan can be obtained for 10% interest or less, and that interest rate is fixed over the life of the loan. Americans are deeply in love with their furry friends. So much so that they spend more than $35 billion on veterinary care per year. Dogs, cats, and smaller critters are treated for cancer, weight problems, diabetes, and much, much more. Costs can run from the hundreds for vaccinations to the thousands for emergency medicine and diagnostics. But don't pull out the credit card if your Persian cat needs emergency surgery. "Not only can large veterinary bills strain a household budget, but they can also force us into making tough choices," said Kevin Mercandante of MoneySmartLife. "Do we go ahead with a life-saving surgery for our beloved pet, or do we decide that the cost is simply too high?" A personal loan can be the solution to your dilemma. Rather than drain your emergency fund on veterinary bills, a small personal loan will give you time to pay it back gradually at a lower-than-credit-card interest rate. Of course, it makes sense to use a credit card rather than savings if the amount is smaller. Either way, you won't have to experience the anxiety of living without a cash safety net, and you won't miss out on any interest your emergency fund accrues. If your swimming pool looks more like a black swamp—or worse still, your guest bathroom does—a personal loan can get you some quick cash for home repairs. Borrowing against your house is the traditional way to get a loan with a low APR, but not everyone has that option. A personal loan has an advantage in that it can be obtained quickly, for a smaller amount. And repaying it in a timely manner can also increase your credit score. 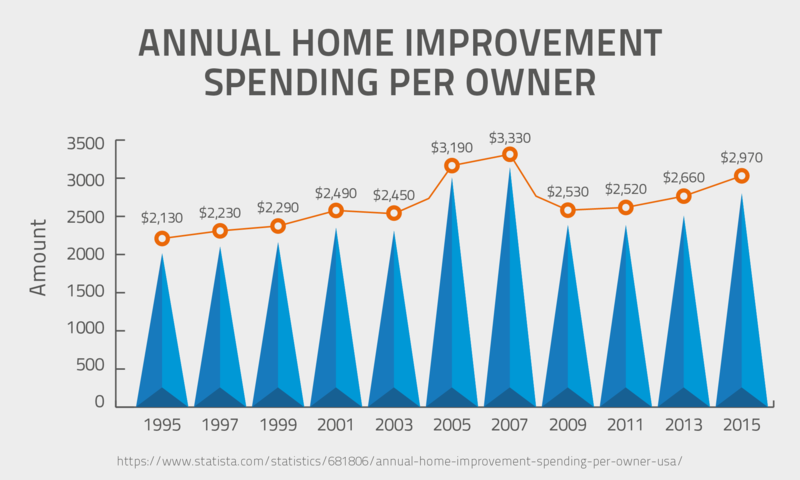 There is ample evidence that a home renovation is money well-spent. One of the top projects homeowners choose is bathroom remodeling, according to a survey by Sherwin-Williams and the National Association of The Remodeling Industry. Investing $13,000 to bring your bathroom into the 21st century can add $11,000 to a home's asking price, an 85% return on your investment. Still, you never want to invest in such a big project simply to boost your credit. Obviously making sure you have the funds first and a comfy safety net in case of an unforeseen emergency are important precautions before you dive into any home construction. The rate of divorce goes down sharply during a recession, but that has nothing to do with love. It's been said that the average cost of a divorce is $15,000-$30,000, and that's without hiring an accountant. Attorneys can charge from $120-$450 an hour, depending on the area of the country they practice and their level of expertise in family law. But lack of money should never be a deciding factor in hiring a solid attorney. In addition to experience in family law and hourly rate, make sure you find out what other costs the case will incur, such as investigators or psychologists. This will help you estimate the total cost of the divorce, and decide how much to borrow. Your financial future depends on settling all your marital assets fairly for the needs of each party and especially any children involved. Although it might be tempting to settle fast and "get it over with," doing that can jeopardize your financial stability for years. "A divorce lawyer can help you focus on the ‘Big Picture'," said Diana Shepherd of Divorce Magazine.com. "While you may be solely focused on ‘winning' the case, a family lawyer will concentrate on creating the best deal possible–which may mean helping you to compromise on some issues so that you can get more of your must-haves." If you try to do it all yourself, a simple mistake on a form that reduces child support by $200 a month can have long-lasting effects on your child's life. By the time that child is 18, he or she would have missed out on more than $48,000 of support during his childhood. Compared to a $1,500 retainer for a family law attorney, this decision is a no-brainer. The real estate market is starting to recover after a long, slow climb from the housing crash. That means there's competition to get into the fix-and-flip business, renovating run-down or foreclosed houses and selling them for big profits. Of course, the biggest hurdle to getting into this business is money up front, says Ian Atkins of FitSmallBusiness.com. If you meet certain criteria — such as having a good credit score, are borrowing more than $75,000, and can show a history of successful renovations — lenders will see you as a good candidate for a fix-and-flip loan. And this business is heating up. According to RealtyTrac, Homes flipped (bought and sold within 12 months) in the first quarter of 2016 made an average gross profit of $58,520, a 10-year high. In some markets, the percentage of profit ranged from 80-136%. These great profits are not without risks, however. Beware of underestimating the cost of the renovations, or of slowing markets where rehabbed houses aren't selling fast. Also, make sure you lock in a low-interest rate on the installment loan, consolidate any prior debt, and check for prepayment fees or penalties before you sign. While it's never the best idea to borrow to finance an adoption, sometimes it has to be done to pay legal fees, fund travel, or get your home ready for a new addition. Whether you adopt through an adoption agency or independently contract with a birth mother, there are options to fund this enormous life change. 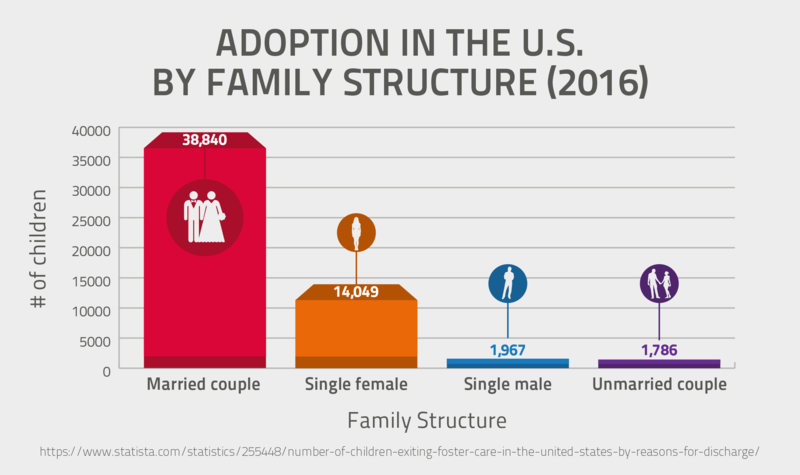 Some estimates show adoption costs $36,000 on average. A big consideration in adoption is age, of both the child and the prospective parents. If you would like to adopt a child, you may not have 10 spare years to save the cash. And as more financial products are being marketed to adoptive parents, obtaining an unsecured personal loan for adoption is getting easier. Many peer-to-peer lenders offer low rates, even for people with average credit. And if you already had a chunk of debt, think of it as an opportunity to actually take care of that debt consolidation you've been dreading. Statistics show that more than half of all Americans have less than $1,000 in savings. "There are times when a loan can be the only thing standing between you and bankruptcy," said Allan Smith of Daytodayfinance.com, a money blog. "In these circumstances, it makes sense to borrow money for a rainy day." One of the easiest debt traps to fall in is that of expensive car repairs. I was the king of "fix it and forget it" when it came to cars I owned in my twenties. But in the beginning, my cars were easier to find parts for and fix myself! Then, I got a great deal on my first higher end vehicle. Higher end means higher costs to repair, and not so many opportunities to hit up the junk yard, find the right parts, and fix it on a Saturday! I spent $950 to replace an alternator, and that literally made me ill. But, it wasn't until I had to spend another $2300 to replace brake pads and rotors on that imported luxury ride that I decided to find a ride with less overhead and upkeep costs, but still had the same feeling that I had truly "made it." You really have no choice but to spend money or take out a short term payday loan when the car you drive to work suddenly drops its transmission. Stop the high-interest debt cycle by having cash on hand to cover these kinds of emergencies. There's nothing like seeing a raw hospital bill to put you in shock. These huge bills are the most popular ones in the collections category. Almost one in six credit reports has an unpaid medical debt, according to the Federal Reserve. And about 40% reportedly received a lower credit rating because of their unpaid medical debt, said Jeff Rose, blogger at Good Financial Cents. It's smart to get ahead of these bills before they spiral into high-interest charges and are sent off to collection agencies. A $1,200 ER bill paid now via a personal loan prevents collection account marks, dragging down your credit score for the next seven years. Consider a debt consolidation loan and/or cutting some superfluous expenses that you can add back later. If you've been dreaming of a trip to Tahiti, saving your pennies is not the only way to get there. Sure, reward points on travel credit cards may be tempting, but you'll be paying those bills for the next decade, and at high-interest rates. A personal loan gives you more control over the debt. You'll have access to the whole fund quickly, within days, with the ability to withdraw cash without paying fees or penalties. 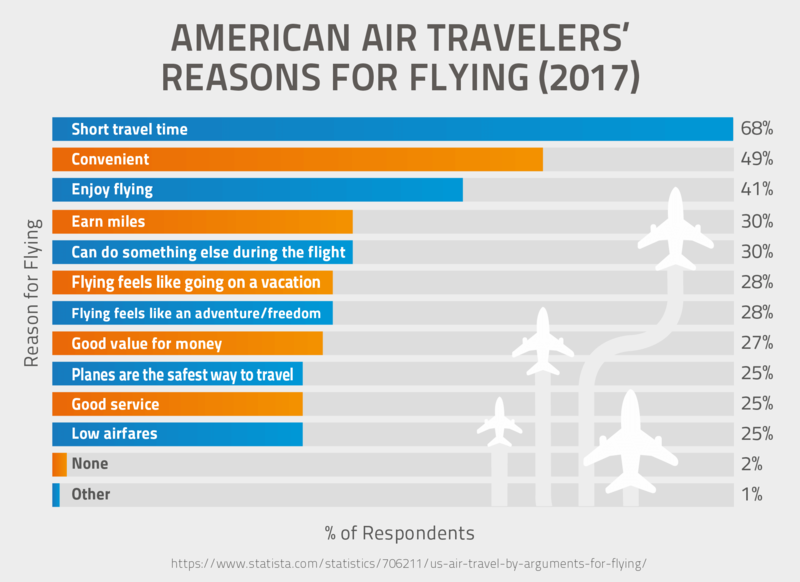 The average interest rate on a credit card, even a travel rewards card, is 15% as of 2017. This assumes excellent credit. Compare that with the average 10% interest rate of a personal loan. A $5,000 unsecured personal loan paid back over 36 months would only result in $630 in interest payments. On the credit card, interest payments would be $1,033. Your family escaped to safety when the hurricane hit your city, but a tree fell through your roof and your homeowners' insurance deductible for the repairs is $10,000. What should you do if you don't have that amount in savings? Credit cards are off-limits in this situation. Some homeowners will jump to borrow from their retirement savings. "But there's a big downside to that strategy: You can access the money only as a withdrawal, not a loan, so you can't ever put back what you took out," says Kimberly Lankford, contributing editor for Kiplinger.com. "As a result, you could end up losing years of potential tax-free growth on the money you withdrew." If you take out a personal loan rather than borrow from a retirement account, you are not paying twice. No, what you're doing is taking into account the lost growth. The best part about choosing to take out a personal loan is that the process is relatively simple. Get your credit score.The first step is to determine how much money to borrow. Once you have an amount, check your credit report to get an idea of your credit score, which will determine your interest rate. The higher your credit score, the more favorable terms i.e. less money you'll pay to borrow money. Know your debt-to-income ratio. While you're getting your score organized, examine your debt-to-income ratio, which is the amount you earn versus the amount you owe. What you may owe money for could include credit cards, student loans, auto loans and mortgages, for example. If you have small balances, pay those off before you apply. If you have bigger ones, at the very least consider a debt consolidation loan first. Lenders will have different ideas about what your debt-to-income ratio should be. A rule of thumb is that the amount of money you owe per month should not be more than 38% than the amount of money you earn each month. So if you pay $3,000 in debt each month and you earn $6,000, your debt to income ratio will be 50%. In this case, you should work on paying less on debt before getting a personal loan, or earning more money! Research your options. In addition to banks, look at credit unions, online lenders, and peer-to-peer lending groups. Shop around for a low-interest rate. While you're shopping, inquire from the lender whether an application will result in a "hard pull" on your credit report, and count against you. The final step is to gather your paperwork together and apply. Credit cards are not the only option. Making snap decisions on how to finance big purchases is not wise. The price you pay for not thinking these through can be paying double, triple, quadruple or even more for one item, financed over a long period of time. These "bad calls" continue to grow insidiously if you don't consider your long-term financial health. A big purchase on credit with compound interest or reliance on a quick payday loan can become a huge mountain of debt, leaving you chipping away at the principal a tiny bit at a time while your monthly payment goes mainly to interest. The take away here is a quote from my grandfather: "If you do not have the cash to buy it, you do not need it that bad." Whenever I am making a decision on a purchase that is truly not a need—a vital piece of maintaining our existence—I have this quote in my head and it has made me seriously consider things on a more mature level. Did I really need a new couch, or was this a want? If it was a need, could we find something to check the requirements boxes but not cost us $1,000's? Seriously- it was a couch! I am not trying to be cheap, I am trying to be smart. And when we found the exact same couch we wanted at a furniture consignment for a third of the retail price, it came down to the fact that brown leather couches are brown leather couches! Personal loans are fast, have low APRs with good credit, and allow the borrower the privacy to use the money any way they wish. Have you ever used a loan to pay for something that most people would put on their credit card?